NEWBURYPORT, Mass. - June 7, 2016 - PRLog -- The Newburyport art community will collectively open its doors with special exhibits, artist discussions, painting demonstrations and more during the second ArtWalk of 2016 on Saturday, June 18 from 11-6 p.m. Take a leisurely self-guided tour that winds through Newburyport's historic downtown to more than 20 galleries and partner sites that are celebrating the beauty and culture of the North Shore. 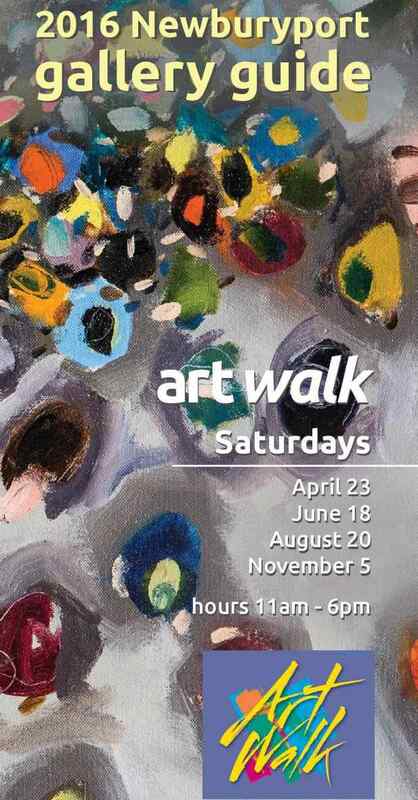 The public is invited to join in on ArtWalk's free events, browse a variety of artwork in traditional and contemporary styles, shop, dine, and soak in all that the Cultural District has to offer. Future 2016 ArtWalk dates are August 20th and November 5th. A free brochure/map of all venues is available at participating galleries, the Newburyport Chamber of Commerce, the passageway between State and Inn Street and at ArtWalk Partners' locations. The 2016 Newburyport ArtWalk events are held on four Saturdays this year. They are free and open to the public. A collaborative of galleries offer special exhibitions, artist demos, lectures, tours, and visual art, all within easy walking distance. Local restaurants, cafes and coffee shops also display original art on a rotating basis. ArtWalk 2016 participants include: 36 Liberty St. Studios, Alan Bull Paintings, Connor Summers Gallery, Firehouse Center for the Arts, Indigo Artist Studio, Newburyport Art Association, Paula Estey Gallery, Sisters We Three, Somerby's Landing Sculpture Park, Spirit of Newburyport, Studio 5, Sweethaven Gallery, Valerie's Gallery, and The Walsingham Gallery. ArtWalk partner businesses include: 17 State Street Cafe, Atomic Cafe Coffee Roasters, Caffe di Siena, Plum Island Coffee Roasters, Chococoa Baking Company & Cafe, the Greater Newburyport Chamber of Commerce, Middle Street Foods, and The Tannery Marketplace. Visit http://artwalknewburyport.blogspot.com and http://www.facebook.com/NewburyportArtWalk to stay informed of the latest activities.